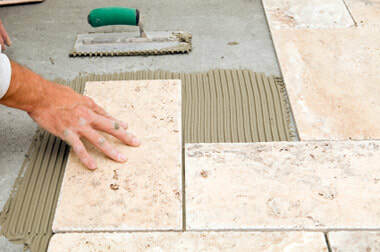 I have been specializing in Tile Installation for over 25 years. Resident of Martin County. I am L.L.C. Insured, Workman's Comp Ex, and have my Specialty Lic CTM 5752, Truck And Tools! Areas of Specialty include Removal of existing Tile or Carpet, Ceramic, Porcelain, Bathrooms, Backsplashes, Counter Tops, Walls, Decks & Front Entries, Master Baths, Spare Baths, And More! With PHIL'S TILE L.L.C., you will get quality work, Personal Service you deserve, and Competetive Prices. If you are looking for the highest quality workmanship at a competitive price, I am your man. I stand behind All Work! *Tub Surrounds * Decks * Front Entries * Pool Decks * Master Baths * Spare Baths* And More....!